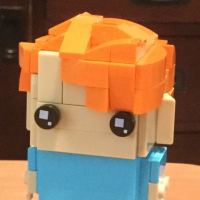 HELP- first MOC in over 10 years! So im still relatively new to this forum. Although I've mentioned before that I've only just rekindled my passion for lego. Im 26 and was an avid lego fanatic as a child. As soon as I hit my teens I thought I'd 'out grew toys' so I've had a long absence. The last few months have been spent building up my collection in an effort to make up for lost time. As well as thinking of and planning ideas. Finally Ive got in to tackle my first MOC in over 10 years! I need HELP with the ROOFS. I'm planning on building a medieval land. 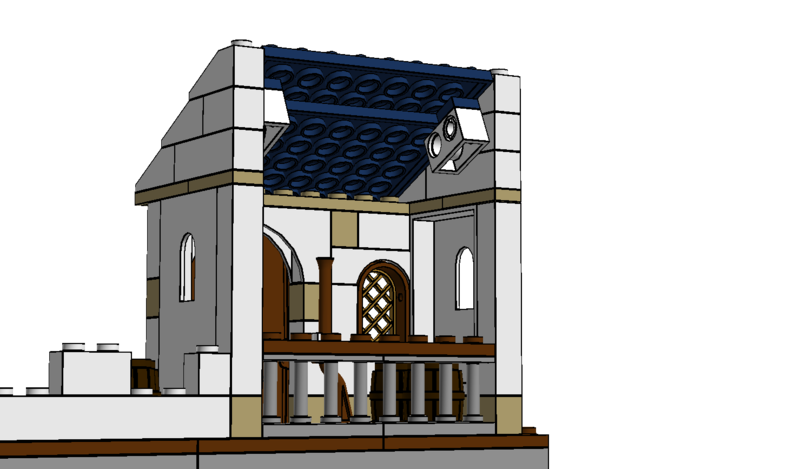 My first step is a medieval house/inn but I'm really looking for any tutorials on lego roofs. I have very few actual roof pieces so will need to use plates or tiles. I've googled a lot and there is multiple threads on different roof TYPES but none on how to put it together. Primarily how to securely attach roof to building. I may even share my creation at some stage but man are my building skills rusty!! 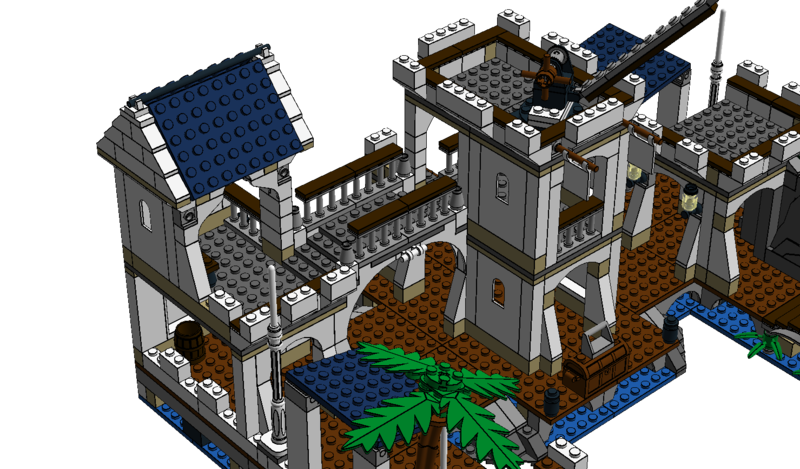 @adventure_al, check this thread, there is a few roofs in that incredible medieval MOC. Thanks I have seen that. Great thread but doesn't actually explain the techniques of building roofs. 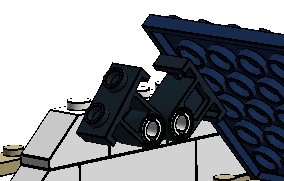 Might be the basics but I can seem to find the correct hinge pieces to attach my roofs in a manner I'm happy with. Check out the instructions for the roofs on all of the modular buildings (they can all be found on lego.com) - most of the modulars do roofs with relatively few roof bricks and then flat roofs behind but they create the impression of roofs. The Palace Cinema does a good sloping roof without the use of any roof pieces at all! Also check out the roofs on the creator houses. The #5891 Apple Tree House is a good example of a basic roof with changing angles and directions. The Winter Village sets also do roofs with plates and tiles. Reviewing their instructions will show how either hinges or Technic bricks and pins can be used for roofs. 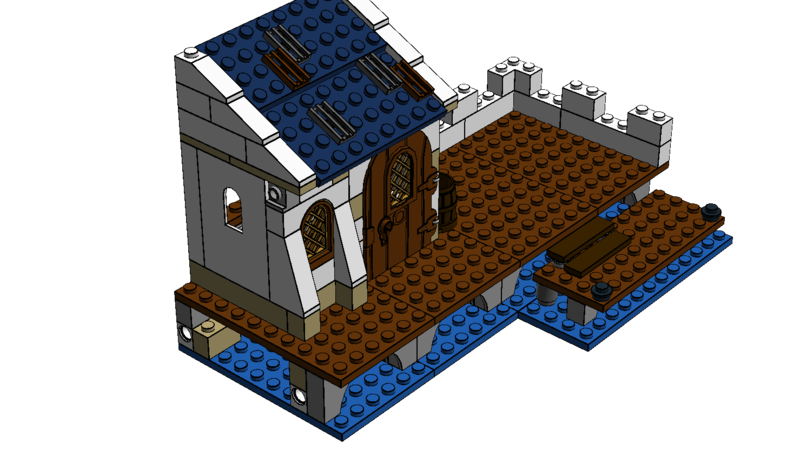 Here are some LDD screenshots of some roofs I did on a Soldiers Fort expansion MOC. 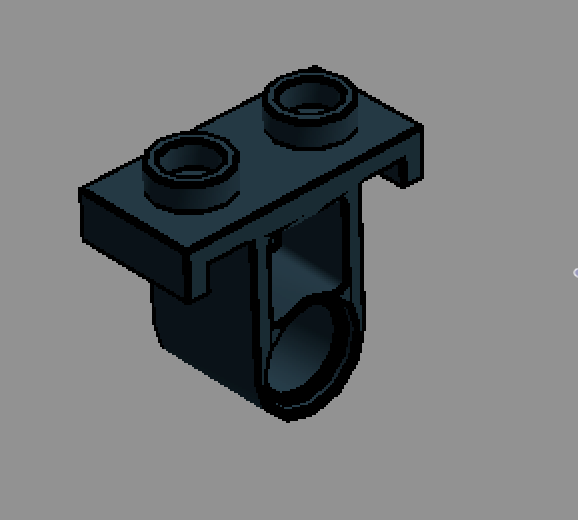 According to LDD it is # 32529 T-Beam w/ Plate 1x2 w/ Knob.